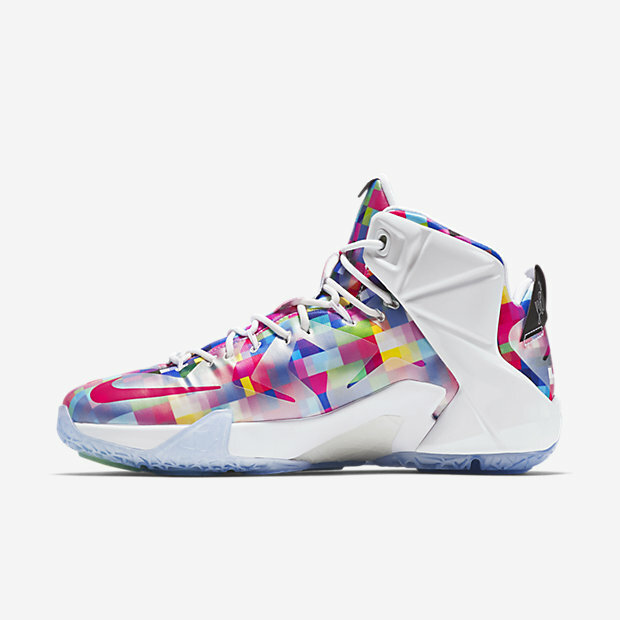 You can purchase this Fruity Pebbles inspired Nike LeBron 12 EXT ‘Finish Your Breakfast’ at the links below. 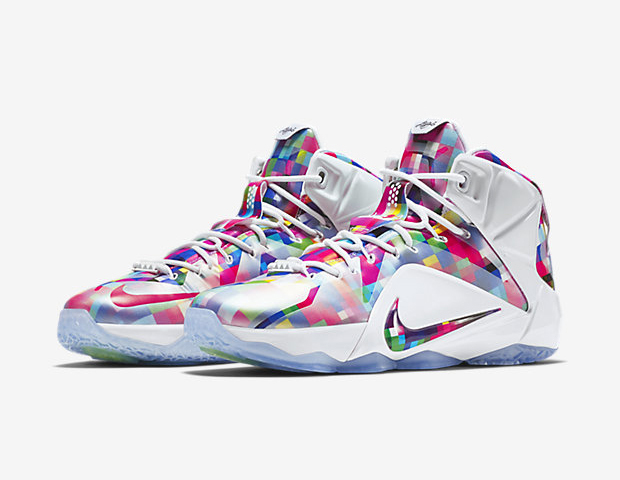 This lifestyle sneaker has the aforementioned breakfast nickname on the heel tabs, which reference LeBron’s affinity for Fruity Pebbles. 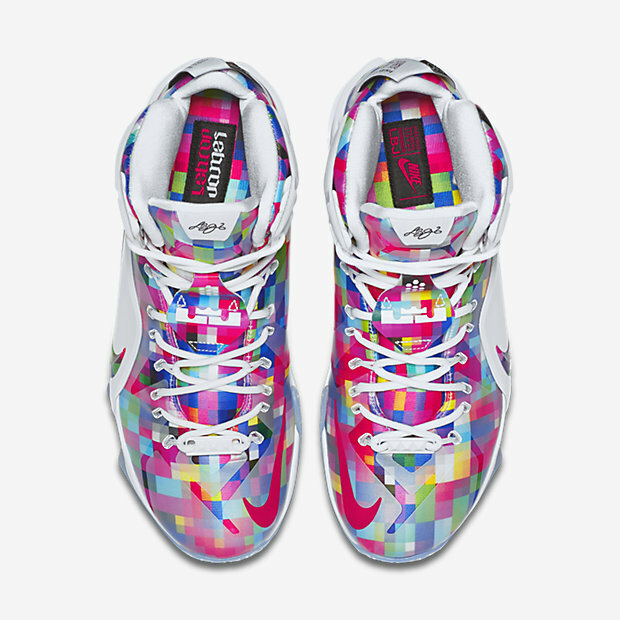 This is loosely seen with the colorful upper emulating the colorful cereal, although the squares is different from past Fruity Pebbles sneakers, which had colorful circles. 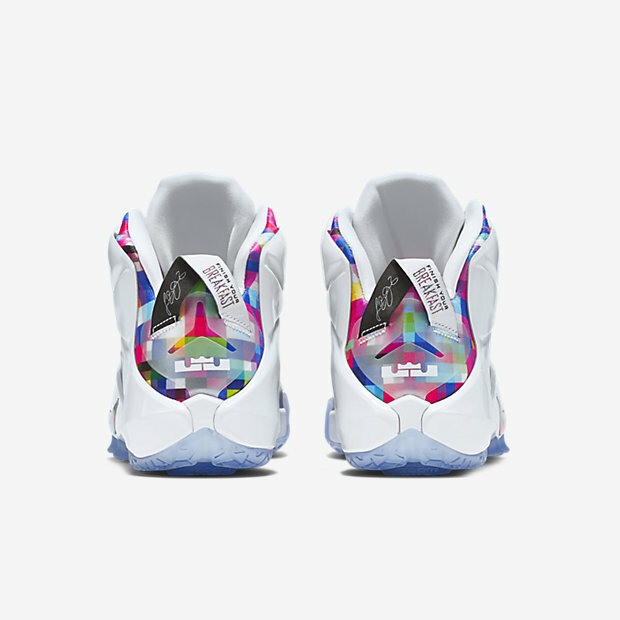 The white lateral wings look pretty similar to the white side walls of the LeBron 4, which emulated milk within the cereal theme. 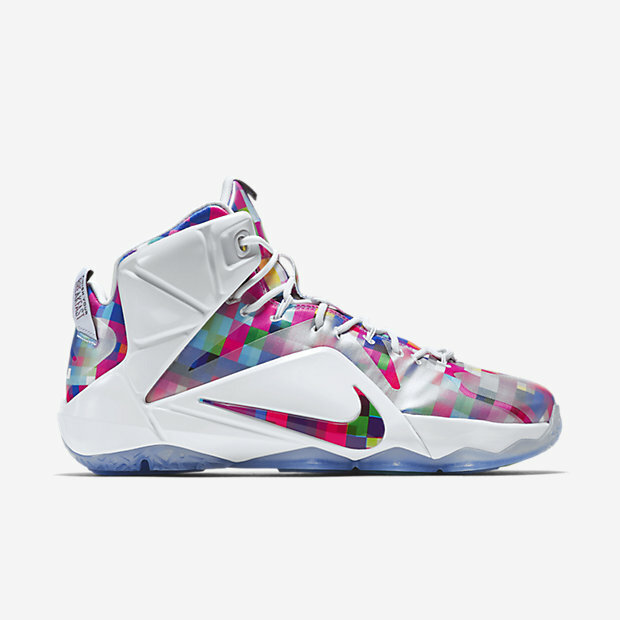 Click on any of the retailer links below to purchase the Nike LeBron 12 EXT ‘Finish Your Breakfast’ for $250, starting at 10am EST on July 8.
can you play on this pair? i’ m not sure if exts are made folr playing ball. i love this fyb colorway.